This classic I.D. 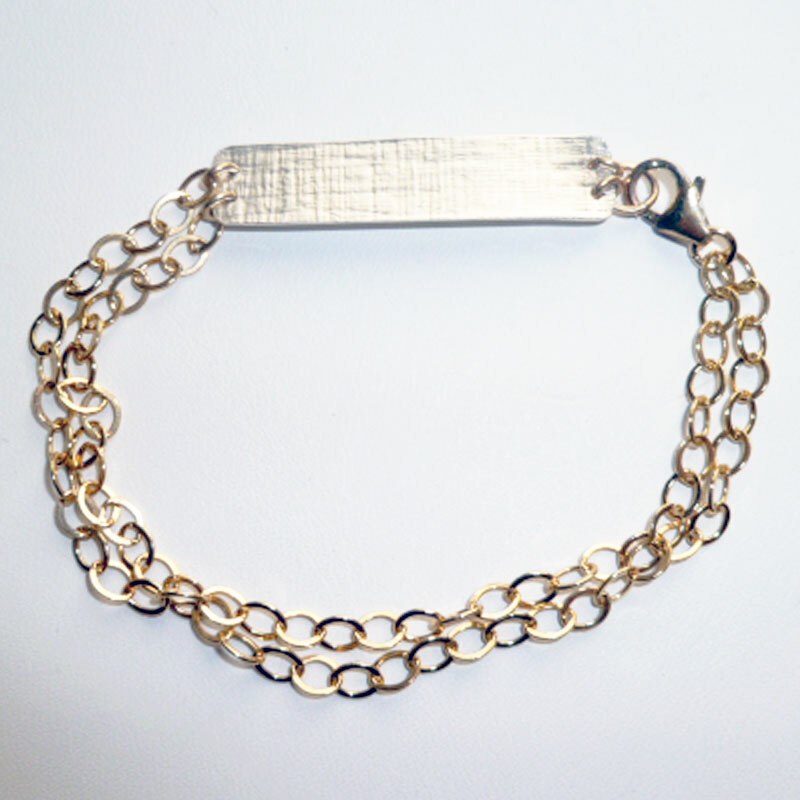 braclet is made with a textured sterling plate and 14kt gold fill chain. Choose your font and a word or name to have hand stamped on the plate - up to 7 letters.